A vision guides the evolving journey. Bring your mission and let's shed some light on where you started, where you are now, and where you're headed. We believe non-profit organizations provide the heart & soul of a community and contribute much to its health and stability. With over 40 years combined experience, our team enjoys working and volunteering for local, state-wide and national organizations small and large. We can honestly say that our experience has reached around the world. The tighter the team the brighter the light. Every person involved in your non-profit is part of the team. Effective communication between each member is crucial in bringing the mission to reality. We believe in training, coaching and building teams that are ready for the work at hand and beyond. We also believe in having fun along the way! You start with a core group that shares a great vision, has courage to weather any trip, invites others to believe in the mission and through smart collaboration, hard work and a cohesive plan the community benefits. Together we can increase the impact of your team's work. Whether the team is all-volunteer or a group of 150-plus, we work with you to create a plan that engages everyone. We encourage strategic alliances and community engagement for greater results. "How many board members does it take to change a light-bulb? "How many light-bulbs can a board change?" It is rewarding to see a diverse group of people come together for a common vision and it's important to remember we must develop ourselves before we can bring out the best in others. Sometimes it's the little things that make the biggest difference in lifting morale so the tough work gets done, other times it's the change of a decade. We deal with your minor and major challenges to help you find solutions. Is your organization introducing a new program or initiative? Do you have a long-time program that needs a little pick-me-up? Do you have a grant maker expecting a report on your program results? We can look at what you have, identify the gaps and assist you in coming up with a relevant and engaging plan. Amongst e-mails, texts, calls, mailings and social media, reaching constituents is an ever-increasing challenge. Successful organizations have become more strategic in how they reach clients, donors, supporters and their communities. At times outsourcing is a smart and practical way to get top-notch materials created for your organization. 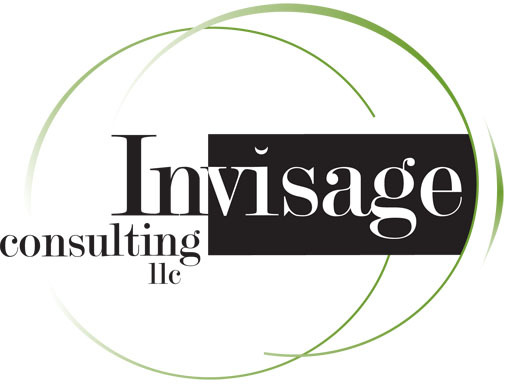 Let Invisage Consulting's creative team examine how the outside world views your organization. IC can then create a plan to enrich and bring your mission alive. Ask yourself, "Is our story being told? ", "To what degree is our marketing effective, contemporary and relevant?". We can explore these topics together to create sustainability for your organization.